Manufacturer & Supplier of Corrugated Packaging Box for Food Industry. Our product range also comprises of Packaging Box, Corrugated Box and Paper Bag. 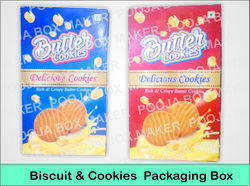 Our organization takes pleasure to introduce its business as one of the leading entity offering Cookies Packaging Box.